This time of year is my favorite – The holidays are approaching and I start realizing how thankful I am for everyone around me (off and online). I like to spread this cheer whenever I can (and you have probably seen that through all of the ways I encourage you to pay it forward). And since we have a thriving group of online sellers (that I know are going to have awesome Q4’s), I want to bring us all together to help those out who are less fortunate. I was approached by a friend of mine and he was asking for donations for a new charity that was created: Secret Families. A basket of food that is for the month of December. Christmas (or other holiday) present for the entire family (each family has at least two kids). And other holiday surprises to put an extra smile on the faces of each member of that family. I think this is a fantastic way to make a huge difference this Q4 for families in need, so I decided to put together this campaign. The first list will be sent out on the first Monday in November. Donation of $10 or more (value that is priceless): In addition to the item above, you will also be invited to a private Q&A session with myself on October 28th from 8-9 p.m. Questions can be sent ahead of time and I will answer as many as I can during the hangout. The replay will also be available for those who would like to watch it again or could not make the scheduled time. You will also be sent a link to a folder of educational materials that can help you learn new skills. Donation of $50 or more: In addition to the items above, you will also receive a 30-minute coaching call from me. In this call, you will be able to ask me any questions that you have about the wonderful world of selling online. The first list will be sent out on the first Wednesday in November. 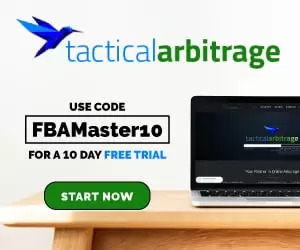 Donation of $100 or above: In addition to the items above, you will also be invited to schedule a 1-hour online deal finding session with yours truly. This will give you the opportunity to see all of the tools I use in action and find some amazing deals along the way. Now the power to make a difference is in your hands! I would love to see us sponsor at least two families and help make their Q4 one to remember. ← How Deep Should You Go?